West Bromwich Albion announce that they have handed a short-term contract to former West Ham United and Derby County defender Tyrone Mears. 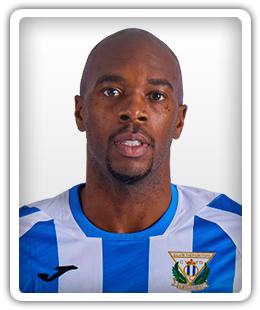 West Bromwich Albion allow defender Allan Nyom to sign a season-long loan deal with La Liga side Leganes. West Bromwich Albion reportedly identify Crystal Palace defender Joel Ward as a potential loan target. West Bromwich Albion, Derby County keen on Chelsea youngster Ola Aina? West Bromwich Albion and Derby County are reportedly keen on securing a loan deal for Chelsea youngster Ola Aina. Shinji Okazaki is fit to start as Leicester City visit West Bromwich Albion this afternoon. Olivier Giroud is given his first Chelsea start in the Premier League fixture with West Bromwich Albion, while Alvaro Morata is selected on the bench. Alberto Moreno is named in Liverpool's starting lineup for tonight's FA Cup fourth-round tie against West Bromwich Albion, while Jordan Henderson returns to the bench. Wilfried Bony scores the only goal of the game late on as Swansea City beat fellow Premier League strugglers West Bromwich Albion 1-0 in South Wales. Tottenham Hotspur and West Bromwich Albion make two changes apiece for this afternoon's Premier League clash at Wembley Stadium. David Luiz is named on the Chelsea bench for this afternoon's trip to West Bromwich Albion. West Bromwich Albion defender Craig Dawson says he was relieved to learn that he would not require surgery to correct a knee problem. Manchester City regain their five-point lead at the top of the Premier League table with a 3-2 win over West Bromwich Albion at The Hawthorns. Sergio Aguero starts on the bench for Manchester City's trip to West Bromwich Albion. West Bromwich Albion manager Tony Pulis hints that Jonny Evans could be a doubt for Northern Ireland's World Cup qualifying playoffs due to a groin injury. Andre Gray is left on the bench for Watford's Premier League trip to face West Bromwich Albion at The Hawthorns, with captain Troy Deeney starting in his place. Alexandre Lacazette scores twice as Arsenal record a 2-0 win over West Bromwich Albion in Monday night's Premier League clash at the Emirates Stadium. Arsenal manager Arsene Wenger hands a start to Alexis Sanchez for the Premier League encounter with West Bromwich Albion. Slaven Bilic fields an unchanged lineup as West Ham United visit West Bromwich Albion this afternoon. Experienced Benfica defender Jardel is said to be on the radar of Premier League outfit West Bromwich Albion. Manchester City coast to a 3-1 victory over West Bromwich Albion to move closer to claiming a top-four spot in the Premier League table. An injured Michael Keane misses out as Burnley welcome West Bromwich Albion. Islam Slimani returns to the matchday squad as Leicester City travel to West Bromwich Albion. Philippe Coutinho and Roberto Firmino are restored to the Liverpool starting XI ahead of their Premier League clash at West Bromwich Albion on Sunday. Marcus Rashford starts up front for Manchester United as they welcome West Bromwich Albion to Old Trafford. Centre-back Craig Dawson scores twice for West Bromwich Albion to help his side to a 3-1 win over Arsenal, piling further pressure on Gunners boss Arsene Wenger. Craig Dawson and Gareth McAuley find the net against Bournemouth to earn West Bromwich Albion a 2-1 win - their fourth Premier League home victory in succession. West Bromwich Albion defender Allan Nyom calls for the Africa Cup of Nations to be moved to the summer having missed out on Cameroon's title-winning campaign. Retired Senegalese striker El Hadji Diouf does not understand why players would turn down the chance to represent their country at the Africa Cup of Nations. Middlesbrough hold West Bromwich Albion to a 1-1 draw in the Premier League. New signing Jake Livermore is given a place on the bench as West Bromwich Albion host Sunderland. Liverpool defender Joel Matip and West Brom full-back Allan Nyom avoid a three-week ban after being left out of the Cameroon squad for the Africa Cup of Nations. West Bromwich Albion manager Tony Pulis hints that he could look to bring in a couple of new defenders during the January transfer window. West Bromwich Albion come from a goal down to seal a 3-1 victory over Hull City at The Hawthorns in the Premier League. Mike Phelan makes two changes to his Hull City side for this afternoon's trip to West Bromwich Albion. Liverpool defender Joel Matip is one of seven Cameroon players who could face a three-week ban after snubbing the Africa Cup of Nations. West Bromwich Albion defender Allan Nyom apologises to Watford fans for celebrating one of his side's goals during the Baggies' win at The Hawthorns. West Bromwich Albion move up to ninth in the Premier League table following a thumping 4-0 win over Burnley at The Hawthorns.